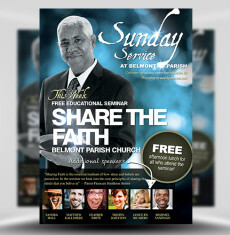 It is your mission to guide people towards the light of God. 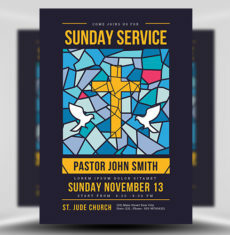 To speak his word and show the community the way. 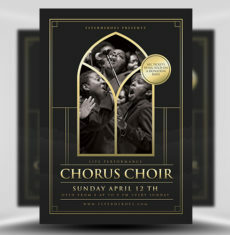 To promote your upcoming church event, use this stunning, expertly designed flyer! 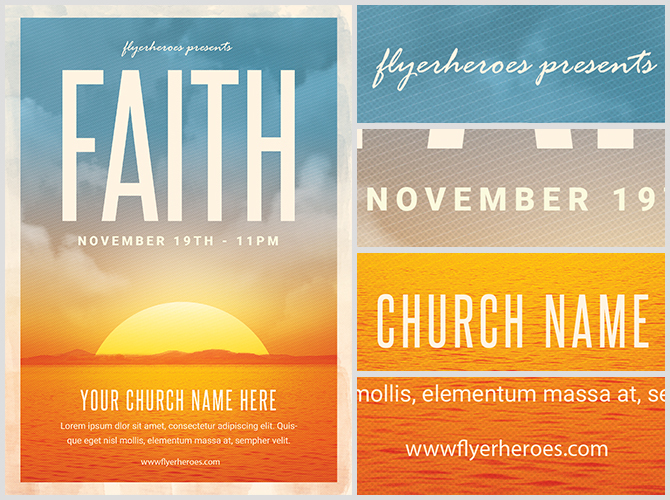 The Faith Church Event Flyer is available now from FlyerHeroes. 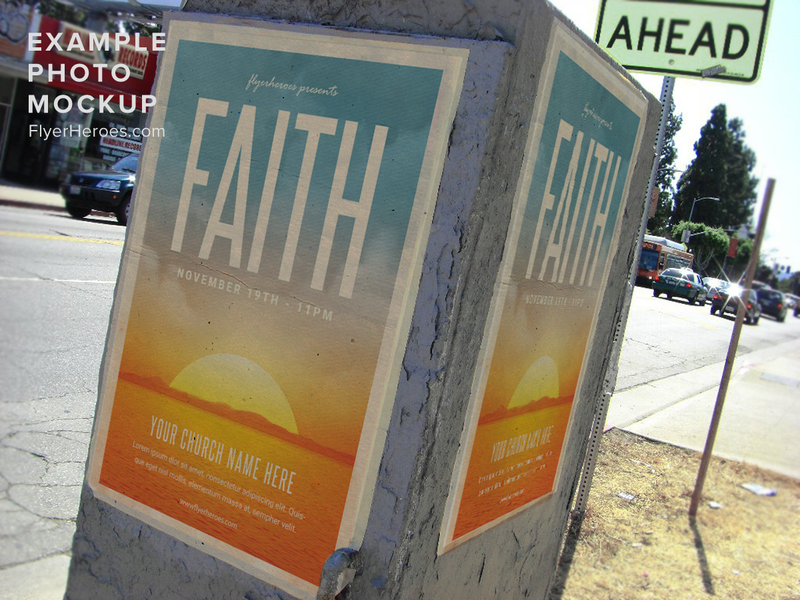 You can customize anything or everything in this flyer and make it completely your own! 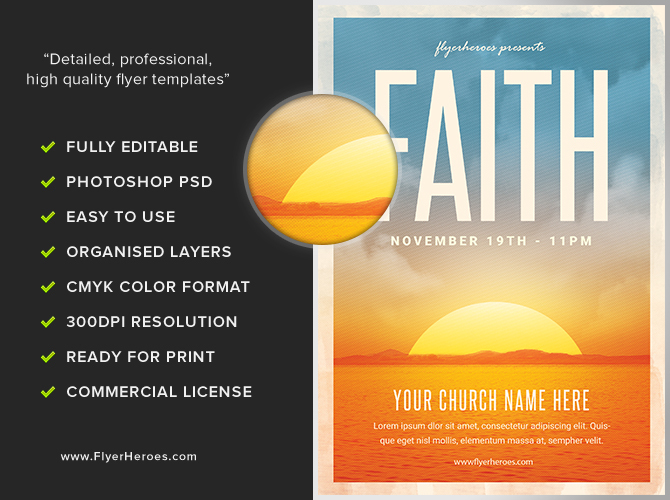 Re-arrange this flyer with our professionally organized layers easily and quickly! 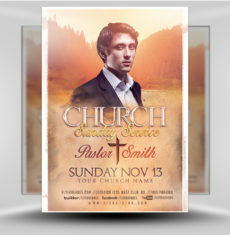 Customize this flyer in a few simply clicks, resulting in an incredible high-resolution final product. 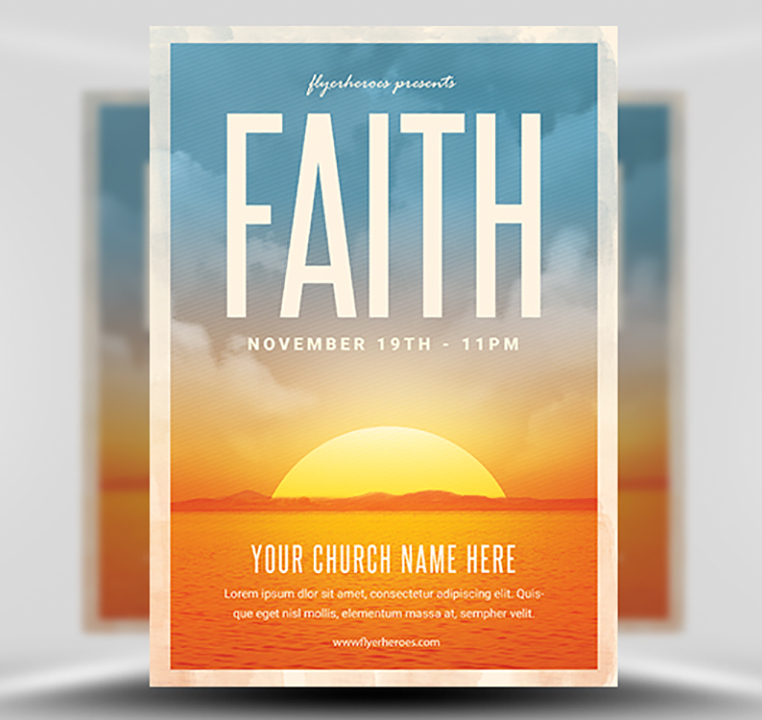 The Faith Church Event Flyer Template is a premium Photoshop PSD flyer / poster template designed by FlyerHeroes to be used with Photoshop CS4 and higher.